Kick off the new year at one of Providence’s hottest events, StyleWeek Northeast, which runs from Jan. 31–Feb. 3 in the West Lobby of the Rhode Island Convention Center. The bi-annual fashion show, now in its 16th season, showcases an array of talented designers, both locally, nationally and internationally, as they preview their upcoming lines. This year’s show also features the immensely popular SEED competition and StyleWeek Bridal. Here is a look inside StyleWeek Northeast Season 16. Have you ever dreamed of going to Fashion Week in NYC? Look no further. StyleWeek Northeast showcases extraordinarily talented designers from all over the world, as well as from right here in Rhode Island. Designers include: native Rhode Islander Amy Page DeBlasio, whose designs are inspired by streetwear and city elements, and showstopping on the runway; Michigan-based designer Mikayla Frick; and Delayne Dixon from Toronto, who is new to StyleWeek and presenting her DIXON collection inspired by empowered women who are willing to step out of societal norms. The shows vary in time each night. Find the full schedule of designers at styleweeknortheast.com. 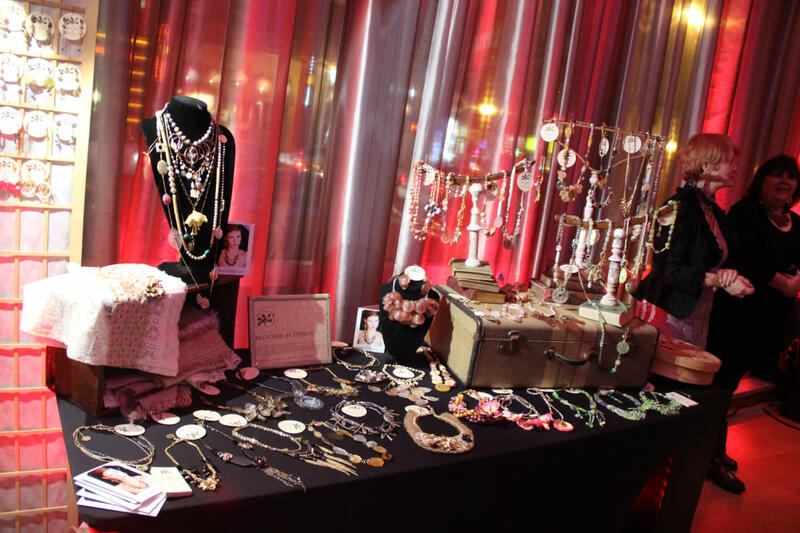 StyleWeek Northeast begins each day with the signature Accessory Showcase, a space designed by Uniquely Chic Vintage, which highlights local designers, shops and more. In addition to some fantastic shopping, find out more about the show’s sponsors, mix-n-mingle, have a cocktail or a bite to eat. Well-known handbag designer Kent Stetson will be on-site, along with "Project Runway"’s Maya Luz, J Marcel, Palomino and more. With Providence being known as The Creative Capital, it comes as no surprise that talent begins at such a young age in the community. The SEEDlings Challenge, in partnership with The Lincoln School, gives students the opportunity to design a collection for their very first runway show. The SEED show takes place on opening night at 6:45 p.m. and will completely captivate attendees with the young designers&apos; creativity, skill and fashion design talent. StyleWeek Bridal is the perfect addition to the winter shows — a day-to-night runway extravaganza, as bridal season is around the corner. The show will take place Feb. 3 in the West Lobby of the RI Convention Center and features local bridal-wear designers including Arianna Nicola and Candice Wu Couture. In addition, Spark Bridal will be showcasing its unique one-of-a-kind bridal gowns on the runway. StyleWeek Northeast is a not-to-miss event to begin the new year. Tickets are currently on sale and can be purchased here. While you&apos;re in the city, plan to stay overnight at one of the many hotels within walking distance of the convention center and take advantage of our nationally recognized foodie scene.